The No Nonsense Brass Band thinks its new song will wow the crowd Wednesday at the third annual Rock & Jazz Fest. The ensemble was organized entirely by West Bend High Schools band students. The current members are Spencer Hikade, Nick Theisen, Jake Clemetson, Michael Novotny, Cody Clark and Connor Hall. The Rock & Jazz Fest is 7 p.m. Wednesday in the Silver Lining Arts Center. Admission is free. 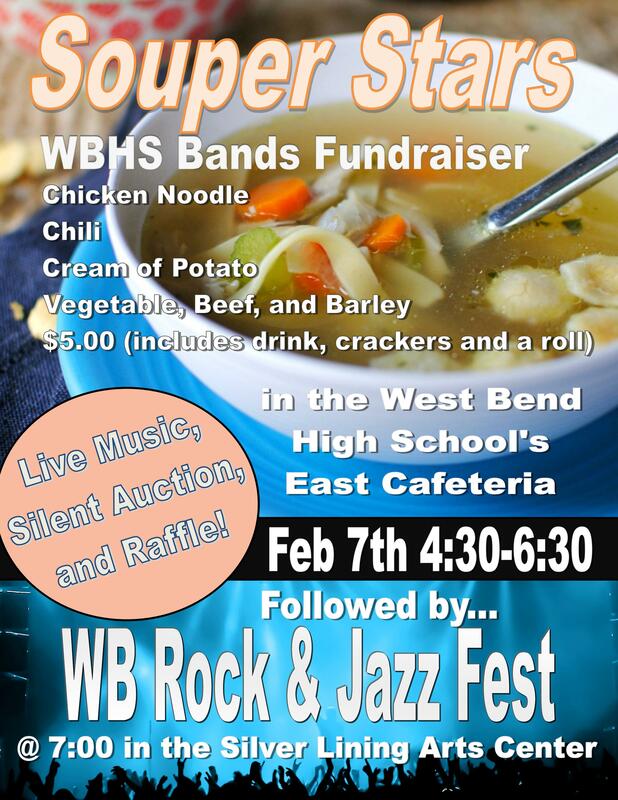 The West Bend bands also invite all to stop by the Souper Stars fundraiser from 4:30 to 6:30 p.m. to support the band program and get a delicious meal. No Nonsense has been practicing hard to improve their skills on “Temple of Boom” and their other pieces for the upcoming concert. The Rock & Jazz Fest is very different than the typical band concert. This annual event is a special concert that highlights the talents and skills of extracurricular band groups from the schools in the West Bend School District. Each participating group shares their talent and hard work with the community through two to three lively performances. This year the performing groups include the Silverbrook Viking Attack Pep Band, the Badger Jazz Ensemble, the West Bend Brass Band (WB3), PULSE (a WBHS jazz ensemble) and the No Nonsense Brass Band. The West Band Brass Band will perform Wednesday at the Rock & Jazz Fest. Photo courtesy of the band. No Nonsense’s performance at the Rock & Jazz Fest will only be its second time playing in public together with all of its current members. Theisen, an East senior, also said that the goal of No Nonsense was to grow in different directions as musicians. While not every extracurricular band group requires playing by ear, the experience of being in an extra band is known to be rewarding regardless of which group it is. The high schoolers participating in the extracurricular bands encourage young, aspiring musicians to also involve themselves in these groups. Theisen stressed that it’s important for musicians to express themselves in their own ways. “Do not be afraid to go off the beaten path and experience new opportunities outside of your comfort zone,” he said. Corey Murphy, a band director at WBHS and Badger Middle School, is the director and organizer of the Rock & Jazz Fest. Murphy has also composed a song for the West Bend Brass Band, which will be performed at the concert. Anyone and everyone is invited to the Souper Stars fundraiser for all-you-can-eat-soup as well as a beverage of your choice for $5. All of the proceeds are put toward improving the West Bend bands, especially the high school program. The fundraiser was organized by a board of devoted band parents, who put in “lots of work behind the scenes,” according to Murphy. The fundraiser is open even to those not planning to attend the concert. There will be a bit of musical entertainment as well, as a taste of what the Rock & Jazz Fest has in store later that night. 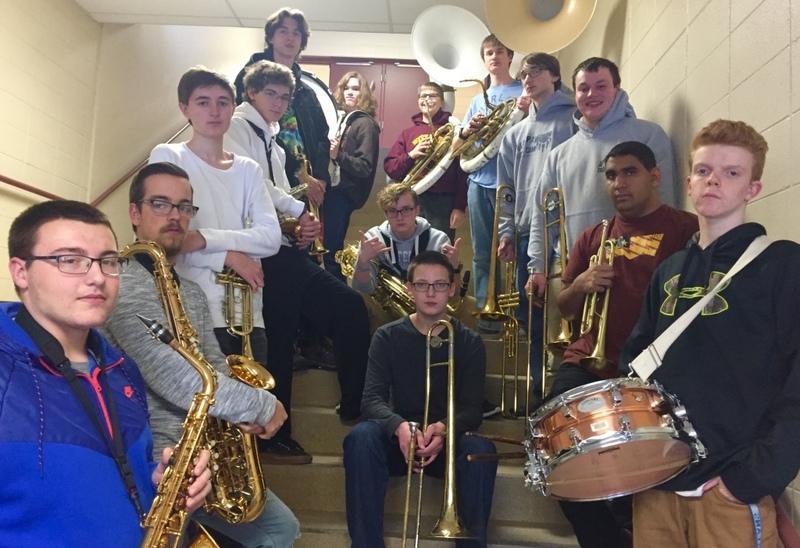 “The Rock and Jazz Fest is an important part of the year because it allows a multitude of musicians of all different ages to have the experience of performing on a big stage in front of people that want to hear some good music,” Theisen said.